When building new computer infrastructure, I find it important to label and document everything properly. This will help you in an emergency, especially if you are not on site and need to instruct someone on the phone. Apart from that, todays infrastructure is quite complex and one cannot remember everything by head. This blog post describes what we used when building our Cloud infrastructure. First of all, use a separate cable color for each type of connection. We used, for example, different colors for ‘storage’, ‘management’, ‘serial’ and ‘public’ traffic types. This gives a quick overview of the different cables that are in use. Make sure colors are unique, so don’t use black if you’re using black power cables. 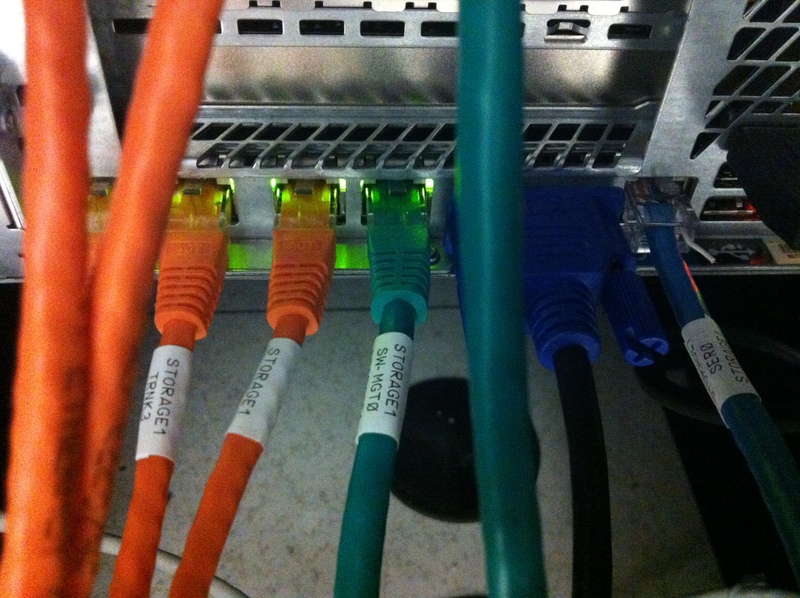 The color of the cable is the first distinction, to be even more specific we’ll label every cable as well. Most sys admins know that labeling cables in a data center is not as easy as it seems: the heat and ventilation will eventually make the labels fall off. 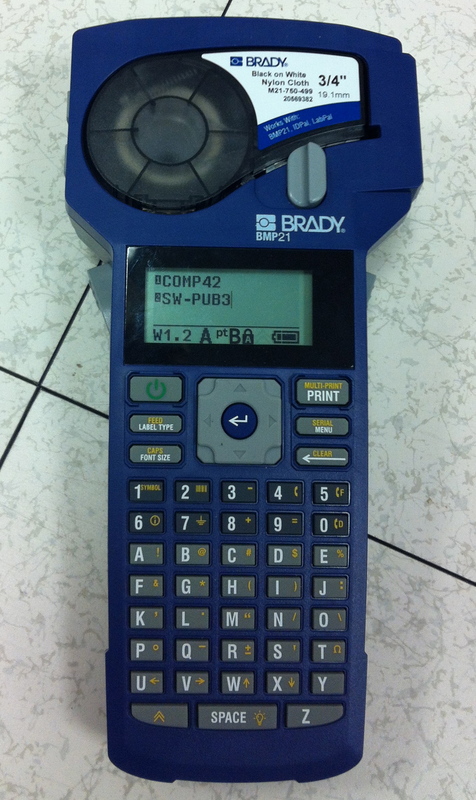 With this in mind we’re looking for a solution.. Brady BMP21 to the rescue! The BMP21 has a keyboard and let’s you enter any description you want. When printing, it produces a label that you can wrap around the cable. This way, the label is very solid connected to the cable and will not fall off. As you can see in the image, it prints the two lines entered on the Brady multiple times. You can wrap the label around the cable and read what’s on it very easy. This also means you won’t have to pull off the cable to be able to read its label. Smart thinking! As you can see it works very well and looks pretty good as well. I’m really satisfied with the device and the labels it produces! Curious; since it’s a thermal printer, how well is its resistance to heat? Its resistance to heat is impressive. Since the labels are wrapped around the cable closely they perfectly fit. 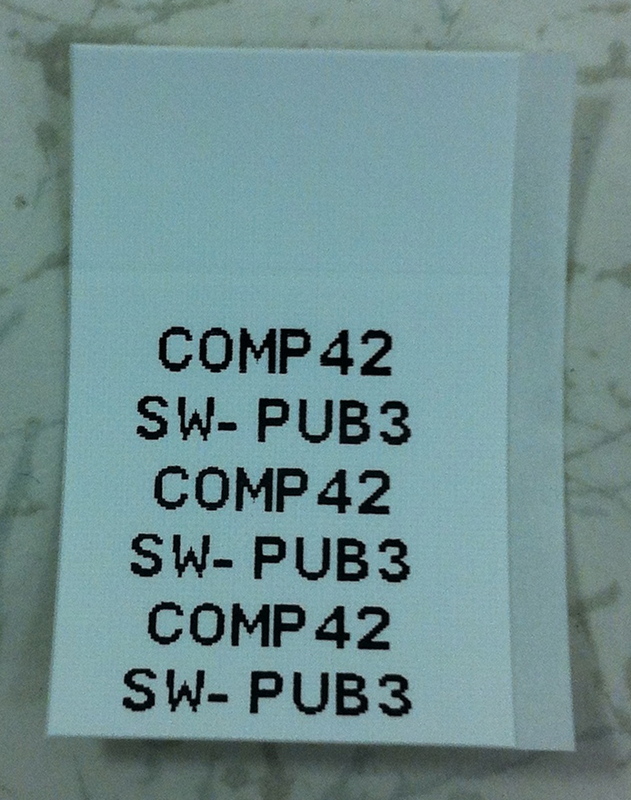 Also, the material of the labels is made of Polyolefin instead of the ‘paper’-like labels I have used before. Do Linux drivers exist for Brady labellers?